So gorgeous, Karren! I'd say you've mastered those Zigs! Wow you are Zig Master for sure....total work of art! Absolutely gorgeous! 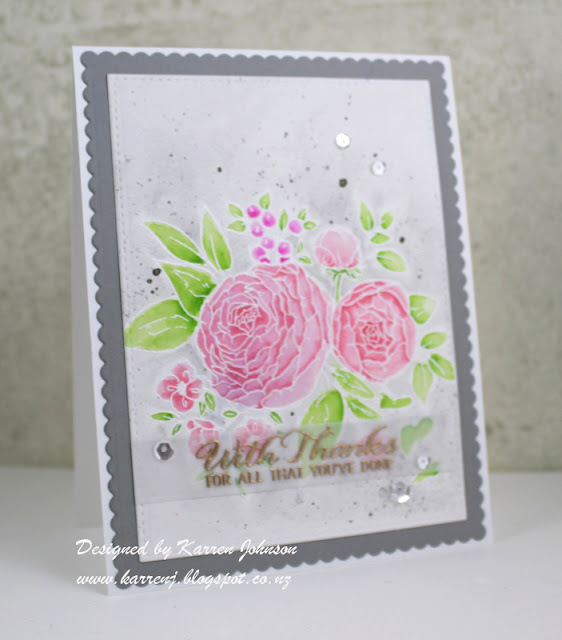 Andso elegant with the embossed sentiment on vellum! beautiful job with the ZIGs, karren... your card is lovely!! Wow, so gorgeous! I love the way you've shaded the petals and leaves. And the soft gray background gives this a bit of a vintage look! Wow! Thoses flowers are so beautiful! I don't have the words to tell how much I love them! And what a stunning coloring. You nailed it with your Zig markers, Karren! 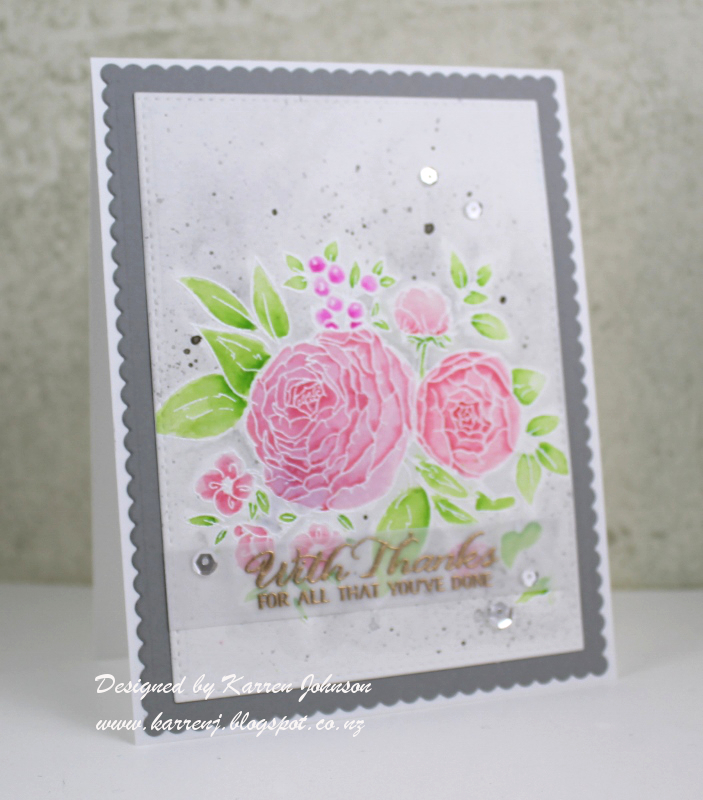 I love the various shades of pink and your Antique Gold EP is perfect for this elegant card! 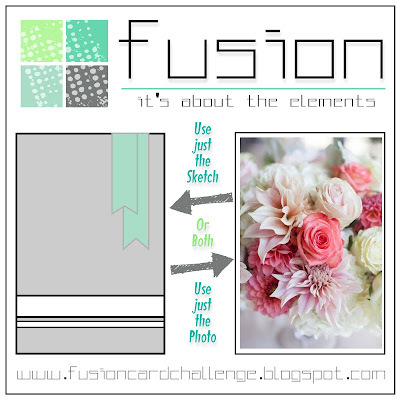 Loving the gray scallop frame, too...such a pretty take on the challenge! 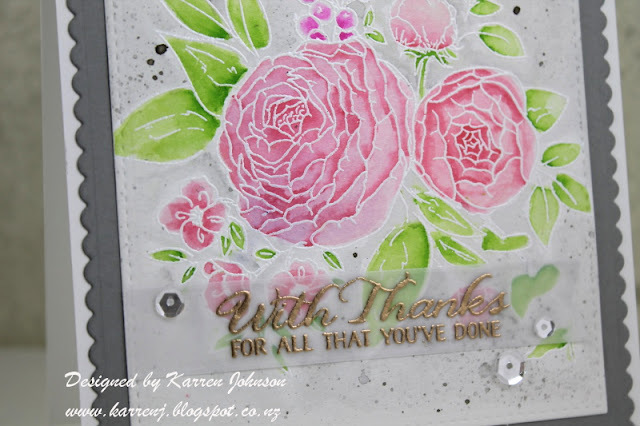 Karren, this is gorgeous! I love this stamp, and your coloring is exquisite! I've still only played around a tiny bit with my Zig markers, but you've inspired me with this card! Thanks for sharing it! Hugs!